A Restaurant Franchise Concept That’s Really HOT. Our signature menu item is an incredible combination of flavors – known as the HOT Plate – that has become legendary all across upstate New York and beyond. Imagine becoming a legendary HOT spot in your local community! Your customers will love being able to create plates piled high with just about anything on the menu – meats, side dishes and HOTS’ homemade, Rochester-style hot sauce. 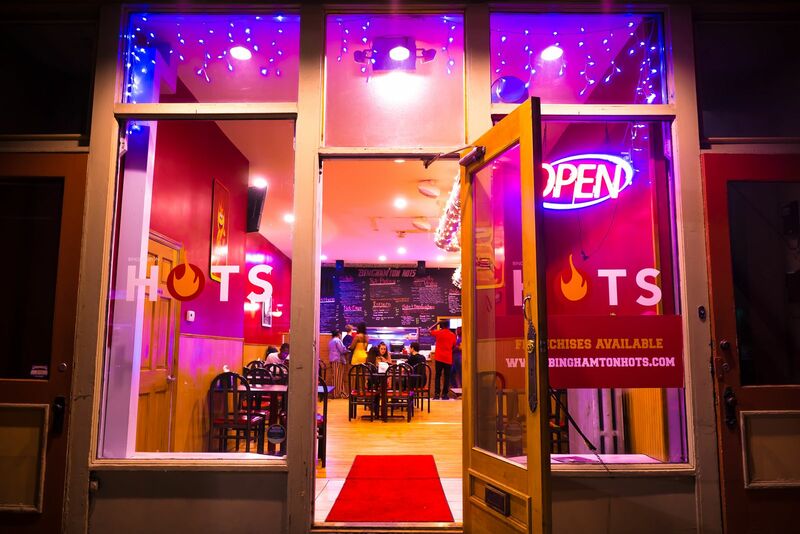 Of course, your Binghamton HOTS will be about more than just HOT plates. 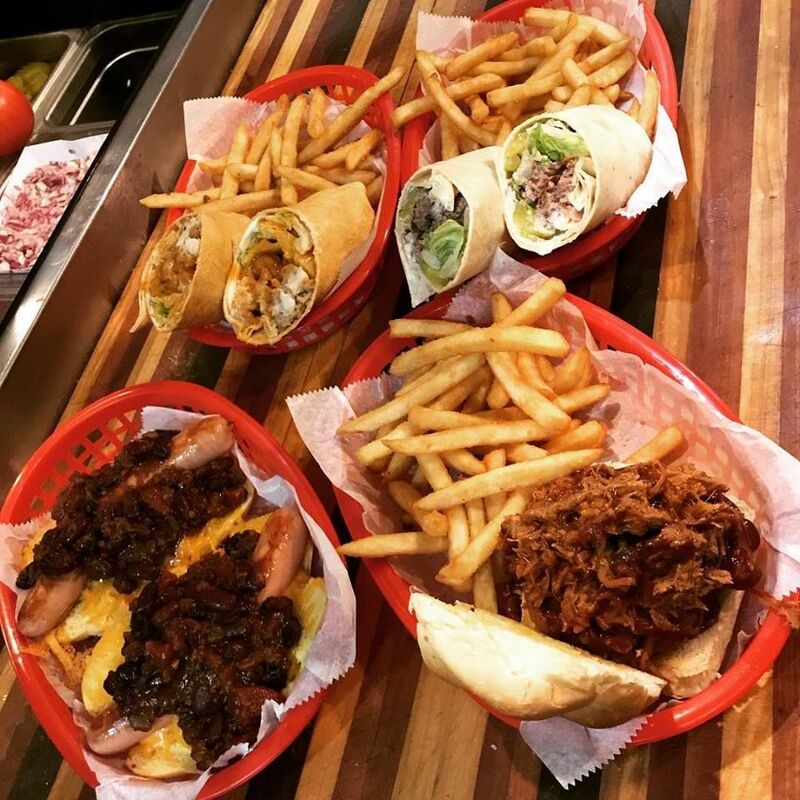 Fresh burgers, premium quality hot dogs, subs and sandwiches plus homemade soups, salads and daily specials, all help ensure your menu satisfies just about every craving. This is the perfect chance for you to serve up a great dining destination to a wide variety of customers, and operate an exciting restaurant franchise in the immense casual dining industry sector. Restaurant Site Selection & Start-Up Assistance: advice on choosing an appropriate location, ideally near college campuses or busy downtown or other retail areas, plus guidance on restaurant build-out, décor, equipment and more. Complete Start-up and Ongoing Training: classroom and on-the-job, at our flagship location and on-site at your restaurant, covering key aspects of running an effective operation. Confidential Manuals & Recipes: detailed documentation on established standards and procedures, both front- and back-of-house, as well as exclusive Binghamton HOTS signature recipes, to help ensure best-in-class operations. Marketing Support: guidelines on building campaigns, specials, promotions and more to bring in customers time and time again.